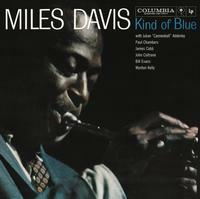 This 1959 masterpiece remains the biggest and best-selling album in jazz history. If you're interested in Miles this should be in your collection. The recording on the whole isn't top notch. It sounds something like a poor microphone connection here and there or maybe some poor gain settings. It's an annoyance but I understand it's in the original source and I can listen around that. The best sounding copy we own hands down! Compared to our mono 6-eye Columbia vinyl pressing and the 1997 SACD, this DSD version sounds so much more real and present. This is the first DSD download I ever heard and I was blown away... especially when playing back on Grado cans. My buddy came over for a demo and his jaw dropped. You will not be disappointed to say the least. a beautiful treatment of this classic. never heard it sound so good! DSD Version of this gem is the best! I have owned this music on CD, Gold CD then virgin vinyl and now this DSD version. So much of what you hear depends on what was originally done in the studio, and each time I listen I cannot believe this was done with 1959 technology. I thought the vinyl version was great, but the detail and the nuance that comes out of this DSD version is terrific. Earlier versions had, in my opinion, a weak bass line but this one brings it out and into balance. I understand why people love Davis' trumpet, and the saxophones are clear and soulful - heck, I hear the spit in the reeds!